This is the "iPhone only" version of Notebooks. If you want to run it on your iPad, too, you might want to pick the universal version of Notebooks, which is available here on the App Store, too. Notebooks provides you with convenient ways to quickly write down notes or carefully create beautiful documents, store and organize files, and manage tasks and projects. It converts documents to PDF or produces eBooks with just a few taps, and even offers an optional, full featured PDF Reader. If you are into Markdown, Notebooks is as well. So if you want to manage all your documents, writings, notes, tasks and files in one app, Notebooks is exactly what you are looking for. Its robust Dropbox and WebDAV synchronization options make it easy to share your collections of documents not only across multiple iOS devices, but also with your Mac or PC. Dedicated desktop versions of Notebooks can seamlessly pick up your work exactly where you left it on your iPhone or iPad. "Notebooks is my workhorse. I use it every day and all day to manage all my business and personal stuff. It has replaced my daybook and project notebooks entirely - and done so with efficiency and style. It's still the best!" “Notebooks is a wonderful App, which is so much better than the dozen other note apps I tried. It is sophisticated, in an unassuming way, so that you find yourself greatly rewarded and being productive without sacrificing time/effort to the App. I cannot tell you how much productivity I have gained. I am having a huge amount of fun, I use it constantly, more than the phone on my iPhone in fact." - Notebooks allows you to conveniently write, capture and organize your ideas, notes, reminders, journals, diaries or details of life that you want to keep close at hand. If you need to take an important note, or search for one, you'll always have the ultimate notebook at your fingertips. - Notebooks stores and displays almost any document you want to carry with you: text and HTML, PDF, MS Office or iWork documents, web pages, photos, videos, music and even your Palm memos. Everything you would usually print out and file you can put directly into Notebooks, without adding bulk. 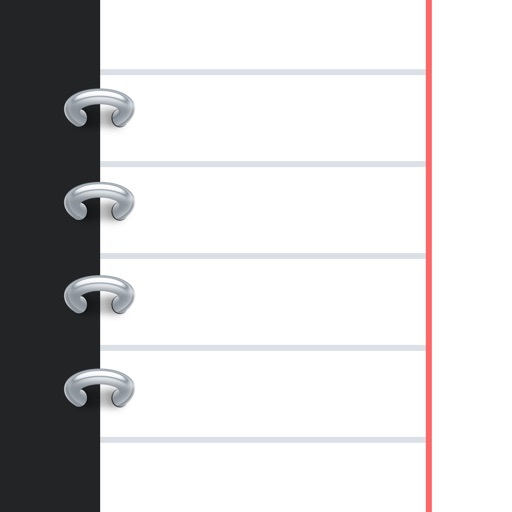 - Notebooks also keeps your task lists and lets you tick off your to-dos as you complete them. You can divide your projects into nested sub projects, which makes them easier to handle, and with Notebooks' links you can cross-reference to documents which may be stored elsewhere in Notebooks. When a task reaches its due date, Notebooks' badge on the home screen reminds you of pending business, and an optional acoustic alert tries to draw your attention. - Notebooks provides tools to further process your documents; you can convert them to PDF or turn them into eBooks, but you can also merge multiple documents into one, or split meeting minutes into separate tasks and route them directly into your inbox. So you see, whether you want to draft a business presentation, type a chapter of your short-story, save web pages to read later, write an entry in your diary or journal, tick off your tasks, or just capture notes and ideas on the go, you need to have Notebooks today. For more information and a complete list of features, please visit our website.